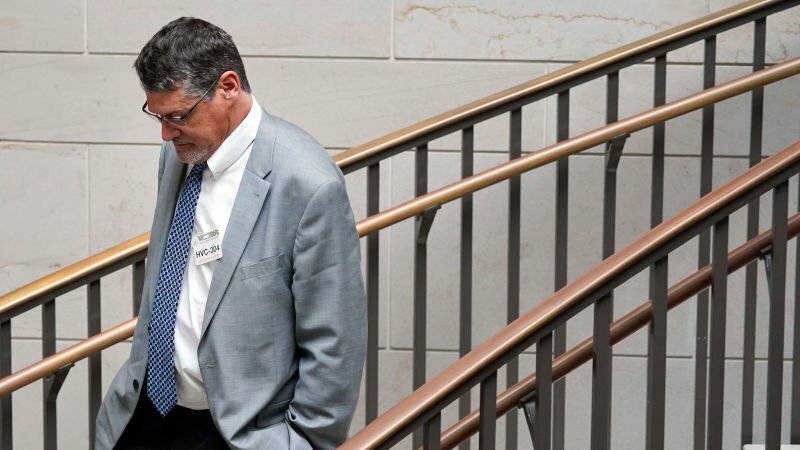 The bank for opposition research firm Fusion GPS handed over financial records on Friday, after a Federal judge struck down the firm’s attempt to conceal the records from the House Intelligence Committee the previous day. At issue are 70 financial transactions from 2016, however Committee Chairman Devin Nunes (R-CA) demanded “complete” records going all the way back to Aug. 2015 Fusion filed for an injunction – claiming Nunes issued the subpoena illegally, it was overly broad, and it was a violation of the 1st amendment. The request also covers a period in which Fusion was paid $523,651 by a law firm for a Russian businessman whose company, Prevezon Holdings, Ltd. settled with the U.S. Justice department for $5.9 million in a money laundering an embezzlement scheme involving high level Russian officials. The Russian’s attorney was none other than Natalia Veselnitskaya of Trump Tower meeting fame. Federal District Court Judge Richard Leon, a George W. Bush appointee, wrote a scorching denial to Fusion’s request – concluding that Nunes legally issued the subpoena, it wasn’t overly broad, and that the transactions are not covered by the first amendment. In late November, The Daily Caller’s Chuck Ross reported that heavily redacted Fusion GPS bank records unsealed Tuesday reveal DNC law firm Perkins Coie paid Fusion a total of $1,024,408 in 2016 for opposition research on then-candidate Donald Trump – including the 34-page dossier. Ross also reported that law firm Baker Hostelter paid Fusion $523,651 between March and October 2016 on behalf of a company owned by Russian businessman and money launderer Denis Katsyv to research Bill Browder, a London banker who helped push through the Magnitsky Act – named after deceased Russian lawyer Sergei Magnitsky. Katsyv was busted for a high level embezzlement and money laundering scheme, sanctioned by Russian Officials, in which large sums of money were stolen from the Russian government and invested in New York real estate. Some of the missing funds were traced to Katsyv’s firm, Prevezon Holdings Ltd., which settled with the Justice Department in 2017 – paying $5.9 million in fines. And again, what does Nunes’ Subpoena cover? Banking records from the period in which Katsyv utilized Fusion GPS services. Katsyv’s attorney, Natalia Veselnitskaya – a John McCain fan who hates Trump and uses Democrat lobbyists, was initially denied entry into the United States, only to be allowed in under “extraordinary circumstances” by Obama’s Homeland Security Department and approved by former AG Loretta Lynch so she could represent Fusion GPS client Denis Katsyv’s company, Prevezon Holdings – and attend the meeting at Trump Tower with Donald Trump Jr. – arranged by Fusion GPS associate Rob Goldstone. Russian businessman Denis Katsyv was a key figure in an embezzlement and money laundering scheme involving New York real estate, uncovered by Russian lawyer and accountant Sergei Magnitsky. Magnitsky reportedly died in Moscow’s Butyrka prison after a year of inhumane treatment. Katsyv settled with the U.S. Justice department in 2017, paying a paltry $5.9 million in 2017 to settle the case – less than 3% of the amount originally sought by federal prosecutors. Fusion GPS was paid $523,651 by Katsyv to investigate London Banker Bill Browder who pushed for the Magnitsky Act, while Katsyv’s attorney, Natalia Veselnitskaya, was in the United States actively lobbying to remove the sanctions imposed by the Magnitsky Act. Fusion GPS associate Rob Goldstone set up the infamous meeting at Trump Tower between Donald Trump Jr., Katsyv’s lawyer Natalia Veselnitskaya and various associates. The meeting was pitched to Trump Jr. as a “discussion on adoption”(not opposition research on Hillary Clinton) and was shut down by Trump Jr. after it became clear Veselnitskaya wanted to discuss the Magnitsky Act – which Don Jr. apparently didn’t realize was linked to the adoption issue. Others present at the meeting include Jared Kushner, Paul Manafort, and Rob Goldstone. Hours before the Trump Tower meeting, Fusion GPS founder Glenn Simpson met with Veselnitskaya. Fusion GPS was paid $1,024,408 by DNC law firm Perkins Coie, which acted as an intermediary for Hillary Clinton and the DNC, to create the salacious 34 page dossier. Fusion paid former British spy Christopher Steele $168,000 to assemble the document (which had the cooperation of two senior Kremlin officials). Clinton campaign manager John Podesta met with Fusion CEO Glenn Simpson the day after the 34 page dossier was made public. For their efforts, Fusion GPS was paid over $1.5 million dollars between Hillary Clinton, the DNC, and the holding company owned by pro-Kremlin businessman Denis Katsyv. Also recall that Fusion GPS hired Nellie Ohr, the CIA-linked wife of demoted DOJ official, Bruce Ohr, to help with investigation Trump, and that Bruce Ohr was demoted after meeting with Simpson and Christopher Steele, the former MI6 spy who assembled the dossier for Fusion. House investigators have determined that Ohr met shortly after the election with Glenn Simpson, the founder of Fusion GPS the opposition research firm that hired Steele to compile the dossier with funds supplied by the Hillary Clinton campaign and the Democratic National Committee. Since you asked, yes, they helped me with that, Mr. Silverstein said. But as you can see, I could not make a strong case for Trump being super close to Epstein, so they could hardly have been thrilled with that story. [In my humble opinion], that was the best story written about Trumps ties to Epstein, but I failed to nail him. Trumps ties were mild compared to Bill Clintons. As well as a fabricated story that a secret email server existed between Trump Tower and Moscow’s Alpha Bank – which was debunked by internet sleuths who traced the IP address to a marketing server located outside Philadelphia. Fusion is currently being sued for libel in two separate cases by three Russian businessmen-bankers in US District Court for their inclusion in the Dossier, along with the ‘secret server’ story pushed by Glenn Simpson. Alfa bank executives Mikhail Fridman, Petr Aven and German Khan filed suit in early October, claiming their reputations were harmed by the largely unsubstantiated document. Given that Fusion GPS appears to have had their ‘investigative’ hands in several pots related to ongoing investigations on Capitol Hill, it’s no wonder they penned a desperate self-defense last week, as if to leave people with some sort of positive impression of the company before the storm truly arrives.